Want to quickly see how the open-source software jCore works? You'll find a free and updated demo installation of jCore here. We are currently updating the jCore demo. Please check back shortly. There will be a new version up soon. 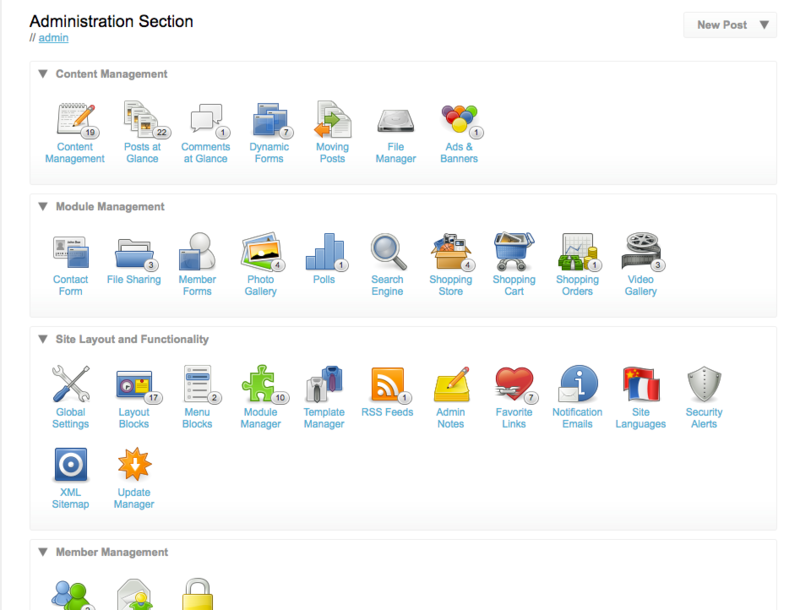 jCore CMS is a free open source content management system built in PHP first released in 2009 under the GPL license. Because it offers the ability to update multiple website with one installation it mainly targets webmasters. 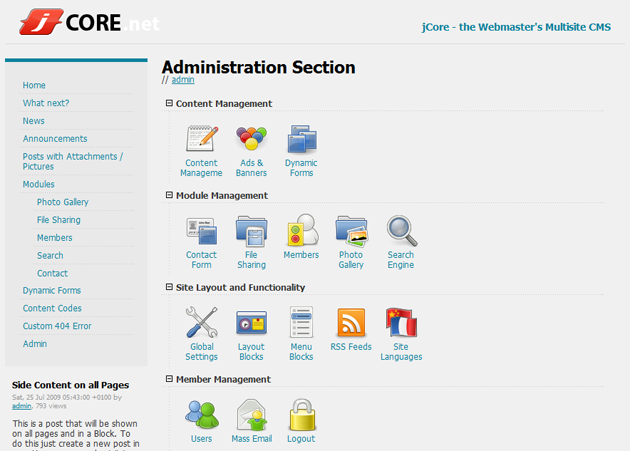 jCore CMS is perfect for any type of website, from small, individual websites or blogs to large corporate sites. If you want to create your own jCore demo site you can download it using the link below. The latest version available for download is 1.0pre2 and was released on August 15, 2012. When using a jCore demo site, you will notice it is split up between two parts, the jCore server and jCore client, allowing each of your clients to have their own folder with FTP access and simplifying the upgrade process. The screenshots below will give you a preview of a jCore demo looks like.